I really enjoy watching old movies, especially those made when it was customary for men and women to wear hats. Toppers embodied a kind of formality of style that has fallen out of fashion, but I think there is something refined about seeing a dashing man like Cary Grant or William Powell (two of my faves!) in a cap. What does this have to do with interior design, you ask? I've begun to appreciate more and more the look of pelmet or cornice boxes atop a well-dressed window. 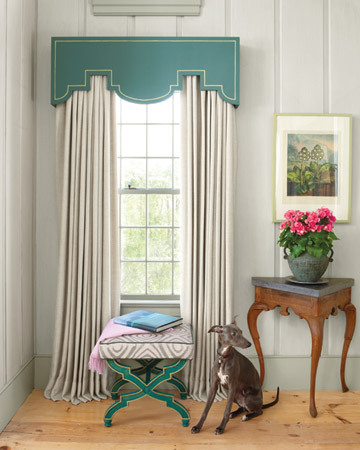 Like a milliner's felted creation, a pelmet/cornice adds a finished touch that a rod can't always capture. Pelmets/cornices can be glamorized with fancy fretwork designs. They can be accentuated with bold, banded ribbon. 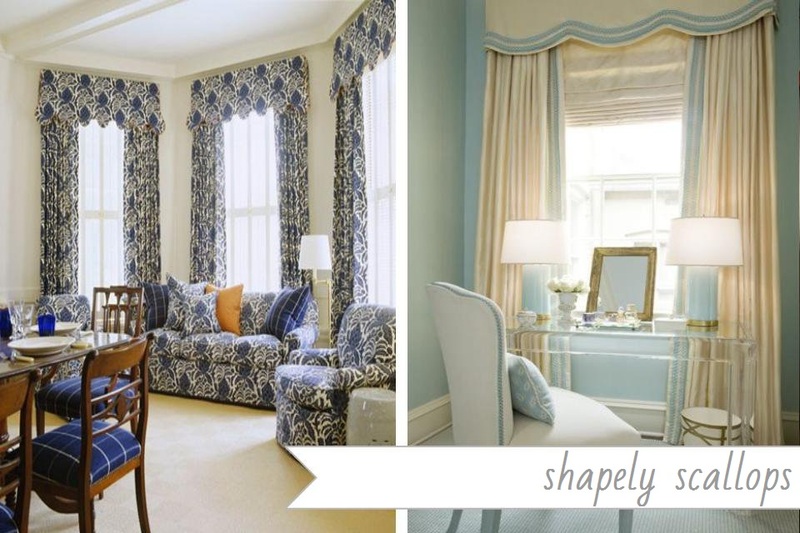 Cornices can be scalloped for a feminine, soft effect. A pelmet can utilize a classical greek key style. 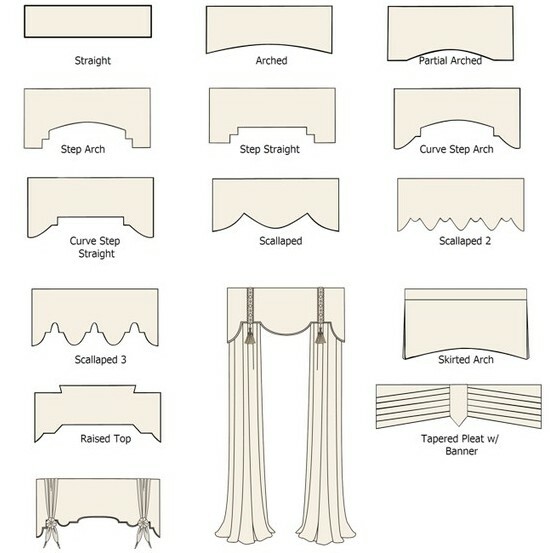 Haven't had enough pelmets and cornices? Here are a few more unique toppers for your windows. 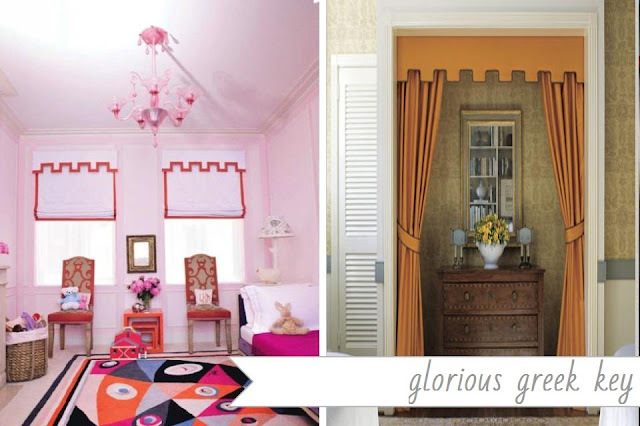 Do you prefer neutral and subdued? How about a cornice that is architecturally arched? Or why not stud a pelmet for tough but sophisticated look? 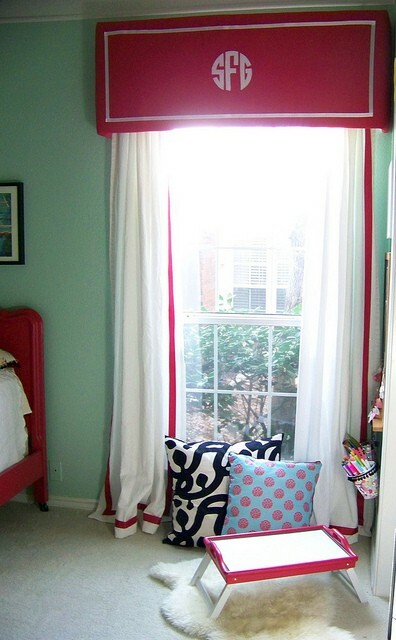 So, what's your take on dressing windows with pelmets or cornices? 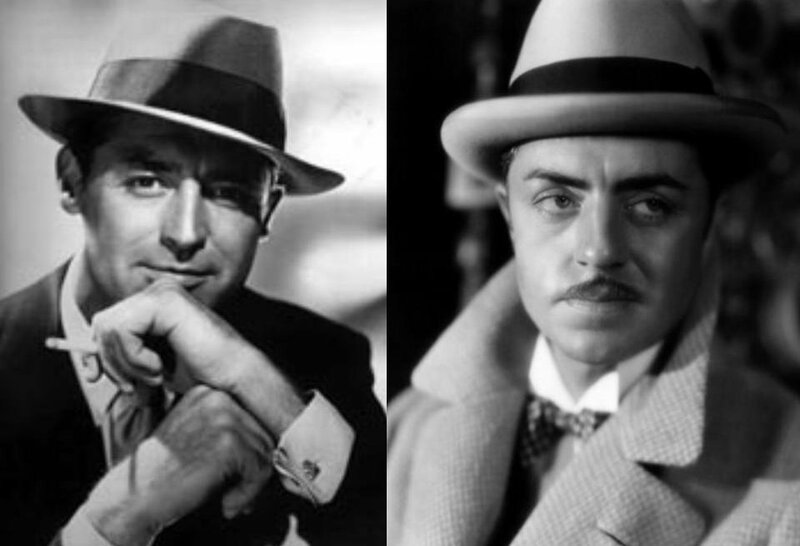 Is the look outmoded like a man in a hat or timeless like Cary Grant and William Powell? Love 'em! As long as the ceiling isn't too low. 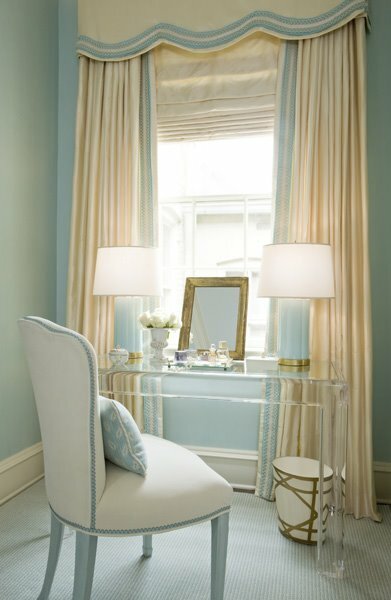 Anything structured and detailed adds such a nice touch to the room. I need to try the studded version at some point. I love them and think they're making a real comeback. I tend to like them with a little embellishment but not too much (does that sound wishy-washy?). 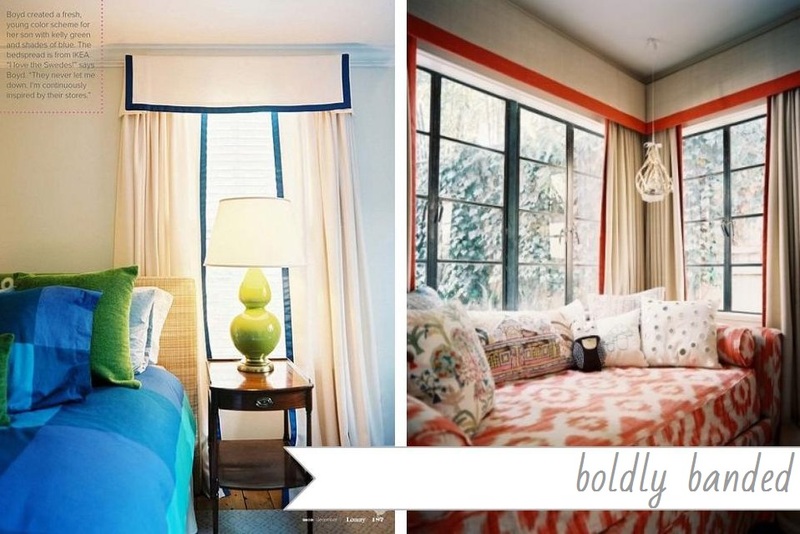 I like the banded, greek key and a little fretwork, and I think they're especially great in bedrooms for some reason! I think I'm starting to love them again! 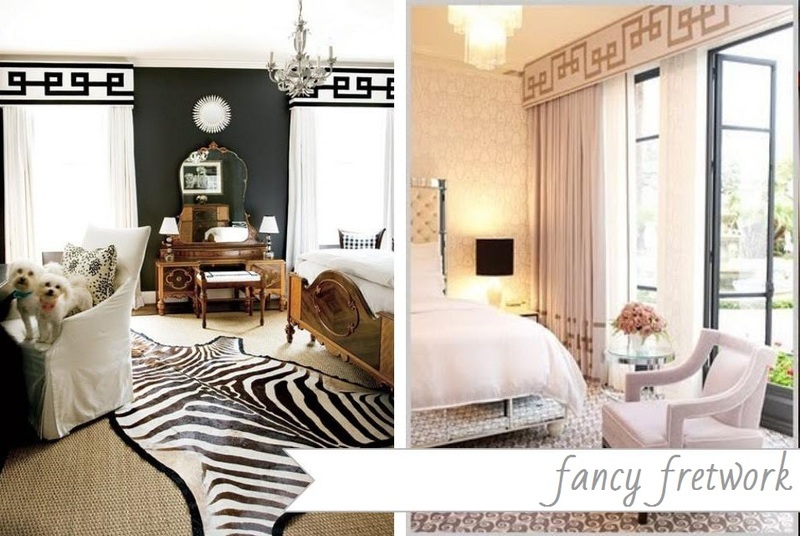 The fretwork designs my favorite and I'd have to say no the scallops! As a fabricator, I can tell you that they've never gone out. 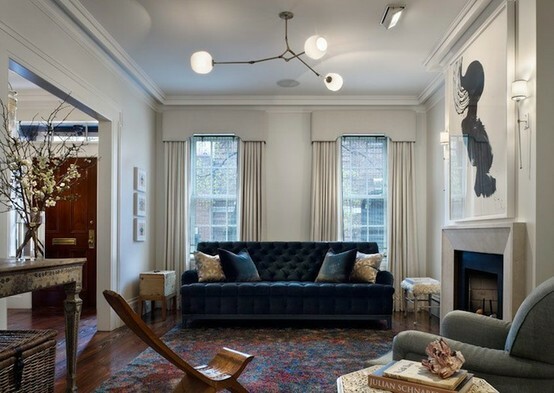 Cornices are one of the timeless treatments that we always sell! Great post!! i love the 'PLAY' on images and words. you have my fave man ....C.G.